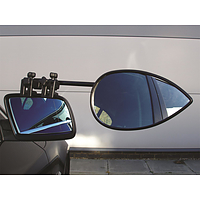 Milenco CaravanTowing Mirrors are the best you can buy and all Milenco mirrors comply with the very latest legally required standard throughout Europe, and are both type approved and E Marked. 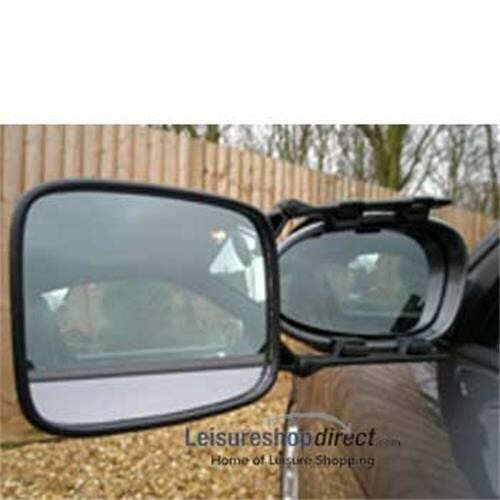 The Safety Mirror is a budget mirror that offers good value for money; it meets all the very latest applicable standards for 2008, and is fitted with safety glass and in addition meets the new pedestrian safety regulations. 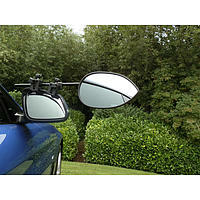 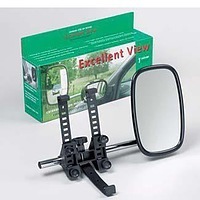 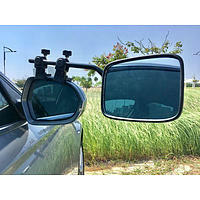 This mirror straps on and fits most cars and 4 x 4's but will not fit tapered mirrors well. 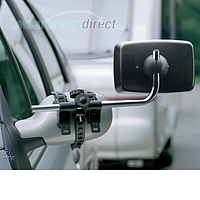 If you caravan is wider than your car, it is a legal requirement that you fit additional e-marked mirrors on both sides. 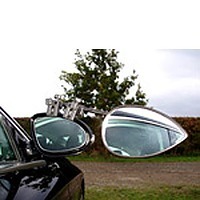 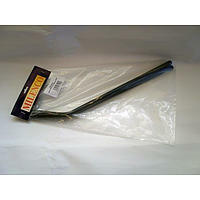 If your car is fitted with door mirrors approved to ece 2003/97 or ece 2005/27, or was a new car after 26th January 2007, your towing mirrors may project up to 25 cm beyond the widest point of the caravan. 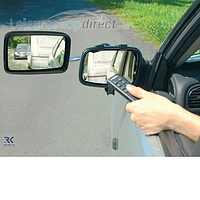 For older cars, your mirrors may project up to 20cm. 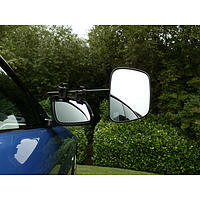 While stocks last - prices per mirror.